The sun finally came out- or actually I was at home during the hours when the sun is out- and got to snap some quick pictures to show you all my fully completed peacock colored mantle. So here it is in all its blue, green and teal glory! So was it worth the wait or was it a total let down? Let me have it. More Christmas crafty items to come later this week- stay tuned. Worth it! I'm a little obsessed with peacocks myself, so I especially love the feathers. Where did you find your greenery? - other than the pine garland. A let down? No way, it's gorgeous! 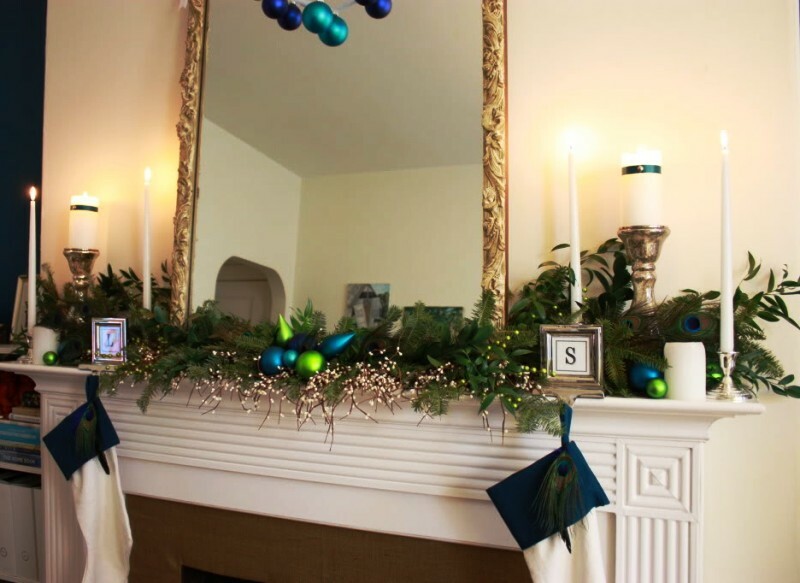 I love the fresh evergreens on the mantle ~~ so festive! Love it- beautiful decorations! The colors are so vibrant...esp those ornaments! I love it! 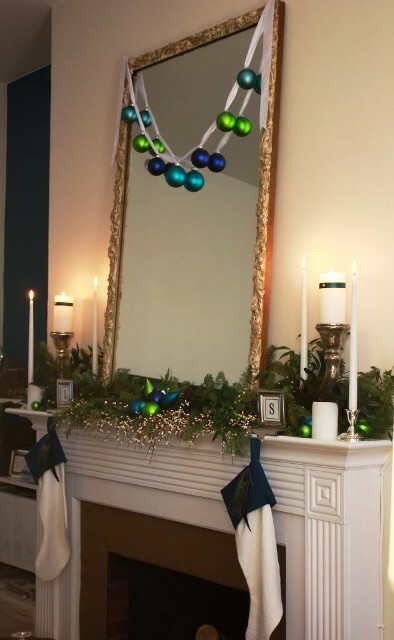 It's fun to mix up the decor - I wish I would have thought of this! L- the greenery is leftovers from cutting our tree down. When we were searching for the tree I was collecting branches along the way. 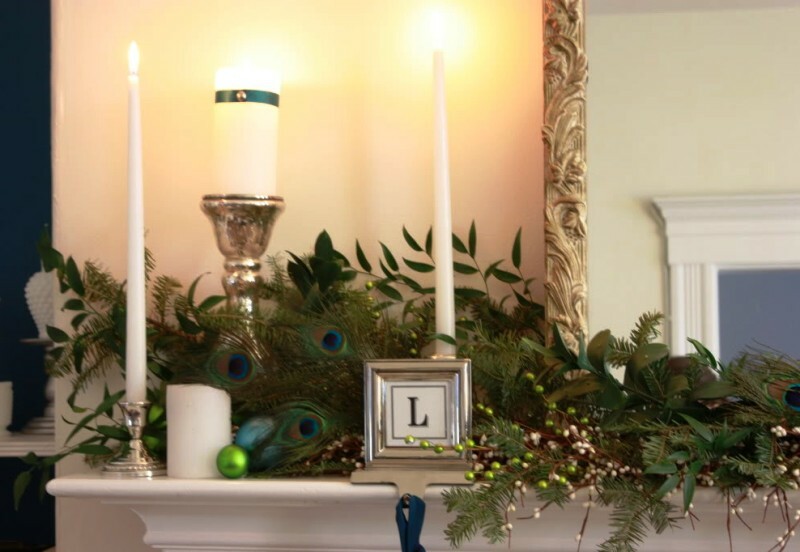 The other green stuff was actually what was left of an arrangement my boyfriend sent me- I just plucked out the pretty green leaves and stuck them in with the others on the mantle. I love it! Your decorations are so fun, the colors are so festive! Looks great! 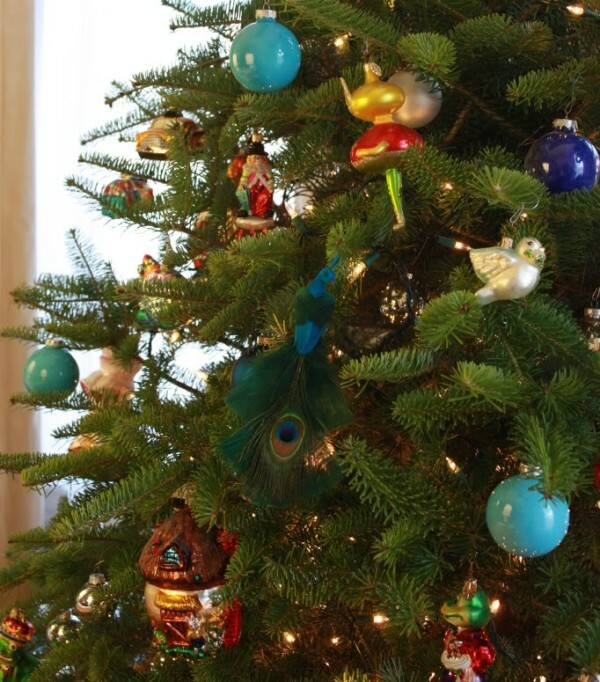 I really like the peacock colors - we have three peacock ornamanets that grace our tree and I love the look. it looks wonderful! Can you come to my Miami Beach apartment and do it here?? I will bake for you! MissBliss- I would LOVE to come to Miami right about now- a warm break would be lovely! It's wondey! (wonderful). Love the peacock colors...it's beauty. Awwww! I really love it! And the extra-tall mirror makes it perfect! Well Done!!! A total letdown? Come on my friend, that's just not possible. It's simply gorgeous. Great eye. I love the new colors for Christmas! Love the color combo! 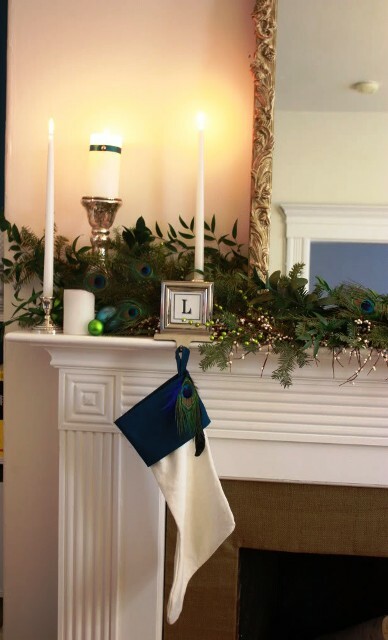 And, those are the first stocking holders I've seen that I actually like. Any chance you would share where you found them? Looks great. Those are my favorite colors of the moment. 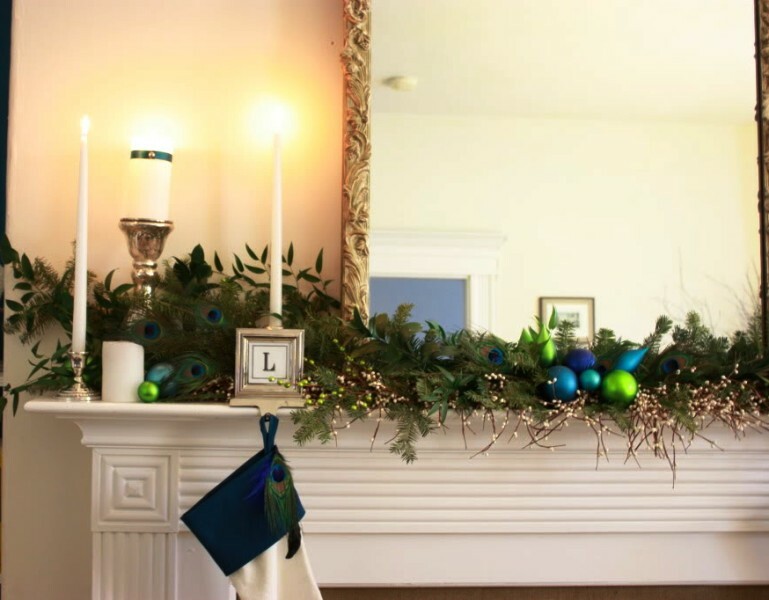 You did a great job of carrying the peacock features through the mantel. I love it! Emily they are from Target like three years ago, but I think I saw some like it there this year too- good luck! I got the peacock at an ornament swap last year. he's in storage. Sad about that. 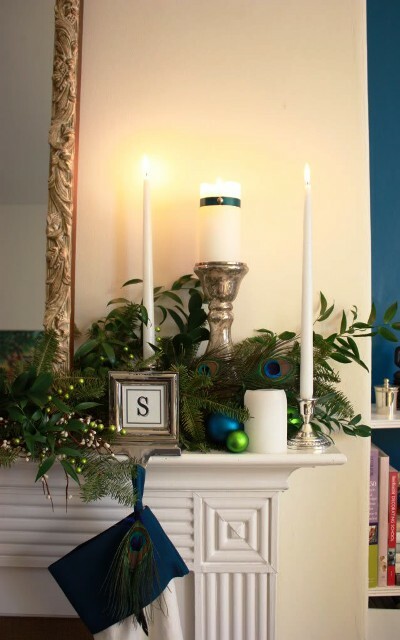 Gorgeous mantel! 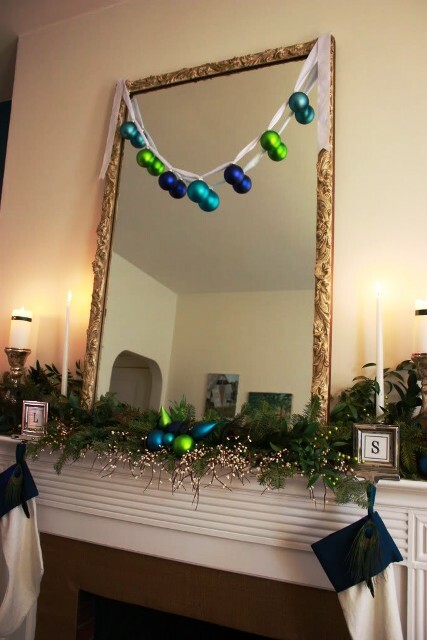 Love the ornaments garland from the mirror. I just knew your decs would be gorgeous. Love it all! Very pretty, so jealous you have a fireplace! love love love the peacock color scheme! Worth it! It turned out very sophisticated and elegant, without being overly feminine. Great job! love it!!!! the peacock is perfect in there!!!!! Oh my gosh, it looks absolutely fantastic!!!! What an awesome color combo! It rocks Linds! you seriously did an amazing job...coming over for drinks soon...almost done with finals! SO pretty! 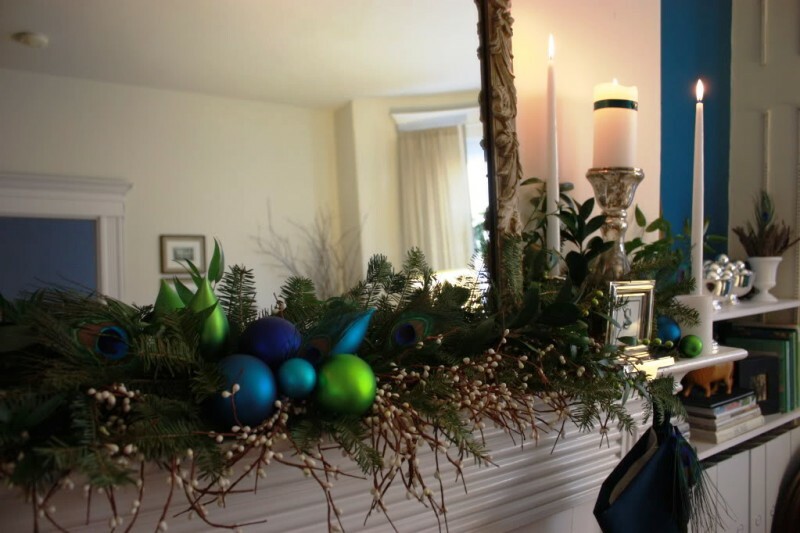 the mantel looks GREAT! but they proved surprisingly hard to find in rural Arkansas. I adore this color scheme and you executed it all so well-bravo! Lindsay, I am so behind on my blog commenting (but not reading... :-))... been meaning to tell you forever how much I love your xmas decorations! Great job! Hope you have a lovely holiday!!! I also wanted to do something involving peacock feathers..